We’ve compiled a list of the top 10 overseas sportives we’d like to do in 2015. Riding this time of year can be a struggle as bad weather, family commitments and increased socialising all contrive to keep us off our bikes. Something for us to train for – or just day dream about. 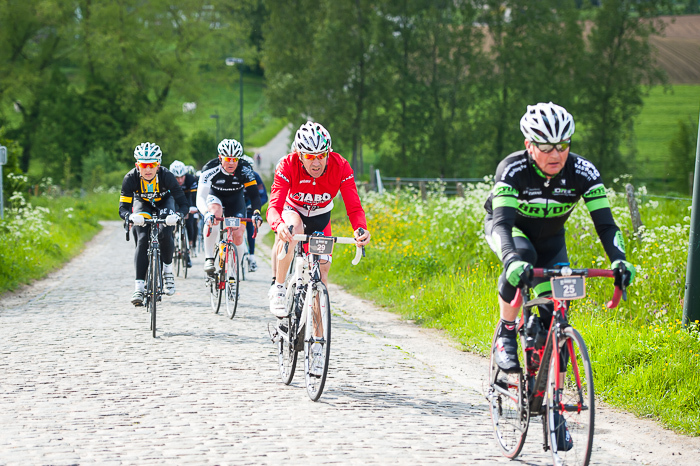 The Tour of Flanders sportive takes place the day before the Classic race on the same route as the professionals taking in some of the most iconic bergs in cycling folklore. There are three distances available from the full pro distance 254km, medium 134km and a 75km short route. Our favourite is the medium route as it’s not too long and still takes in all the best climbs including Koppenberg, Oude Kwaremont, Bosberg, Tenbosse, Molenberg and the Muur-Kapelmuur. Roads aren’t closed but traffic is light and with approx 15,000 taking part cyclists take priority anyway. The race is held in the same regard as football in the UK so everyone knows about it and also the sportive and the atmosphere from the roadside is great on both days. 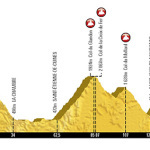 As it takes place the day before the race it makes a great weekend if you can stay as you can watch the pros ride the same climbs as you did the previous day but this time you’ll probably have a beer and frites while there. If you want to sample what riding cobbled bergs is like then this is the one for you. P.S. it doesn’t count if you ride it in dry and sunny conditions! The Stelvio and the Mortirolo are two of the hardest yet most stunning climbs in the world and this event takes in both of them. What it lacks in distance it most certainly makes up for in climbing over the three available routes. Long is 151km with 4058m ascent; medium is 137km with 3053m ascent and the short route of 60km still has 1950m of climbing making us tired even thinking about it. 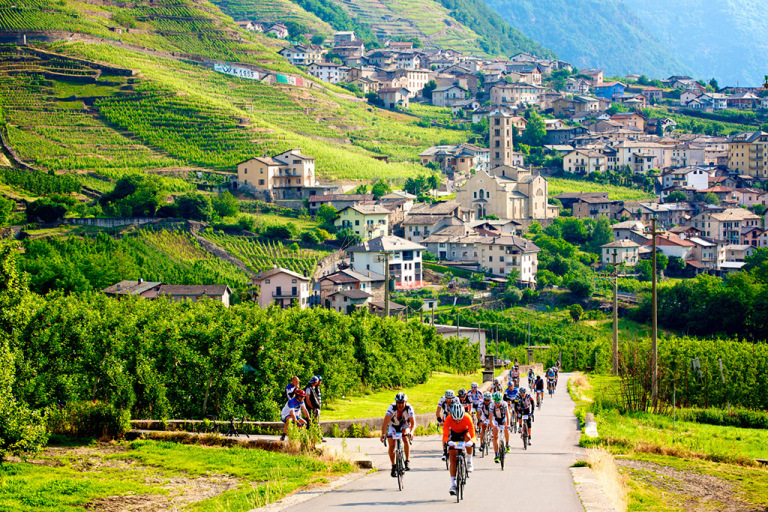 Gran Fondos in Italy are also races as well as sportives in a marathon type format with those at the front ranked and in grids to race while everyone else is just happy to get round. The Etape du Tour remains one of the most iconic cyclo sportives to do with people travelling from all over the world to do it. Why? What makes it so popular is that is that it covers an actual Tour de France stage so riders can gauge their time against the best riders in the world on exactly the same course. ASO – who organise the Tour – also organise the Etape so it feels in every way like a pro stage with closed roads, Mavic neutral cars, stage start and finish area and event village but thankfully also lots of feed stations to stop at along the way. The 2015 Etape mirrors the 142km stage from Saint-Jean-De-Maurienne to La Toussuire in the Alps so you’ll need to get practising those climbs if you fancy doing it. 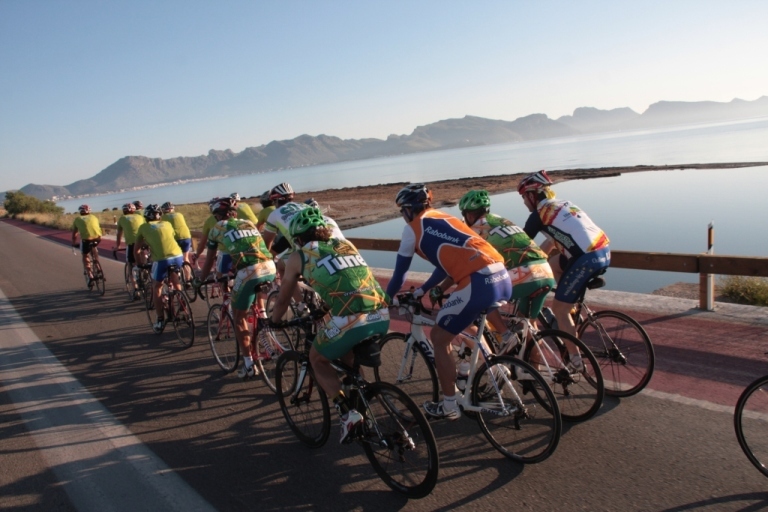 The Mallorca 312 is a lap of the cycling friendly island in a day. The full distance is 312km, hence the name, and there’s also a more friendly but still tough 167km route. Both start out together in one huge bunch of 2,000 from near Alcudia in the north and do an anti clockwise loop taking in all the mountains first before the routes split after the first feed. The 312 continues on its lap of the island while the 167 takes a much shorter and much flatter route back through the middle of the island. The roads aren’t closed but it is well signposted and cars are very well behaved towards cyclists on the island anyway. The cut off time for the 312km is 14 hours and the record is just over 9 hours! This is biggest cycling event in Australia and takes place round the Melbourne Bay area. There are a range of distances available from family rides of 20km, 50km and 100km rides and the 210km and 250km routes which go round the whole of the bay. Riders on the large routes start in Melbourne and can either go clockwise or anticlockwise although we’d prefer the anticlockwise as you have the stunning Mornington Peninsula on the second half to look forward to before heading back to the city. Oh and you also have to use the ferry mid way through to get across the bay making for a nice rest. Always good weather as well but can get tricky if it’s windy as it hugs the coast a fair bit. 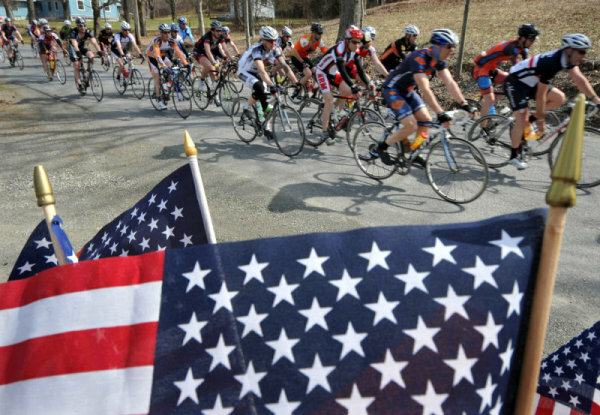 This is America’s largest one day Pro/Am cycle race but we’re more interested in the 68 mile gran fondo which can either be raced or simply taken part in whatever you feel like. The 68 mile course is a mix of tarmac and gravel and takes in all the typical sights you would expect to see in a rural US setting, ie covered bridges, family farms and challenging back country roads. A few friends have taken part and they loved it saying it was a tough route with the rolling roads and gravel sections keeping you on your toes all day. A great atmosphere also helps and for something different this could be the one to try. 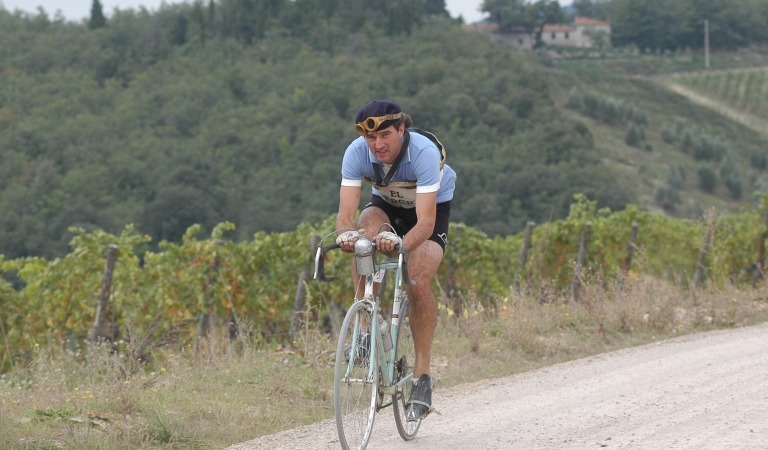 If you like the vintage side of cycling and Italy then you will be in heaven at L’Eroica. 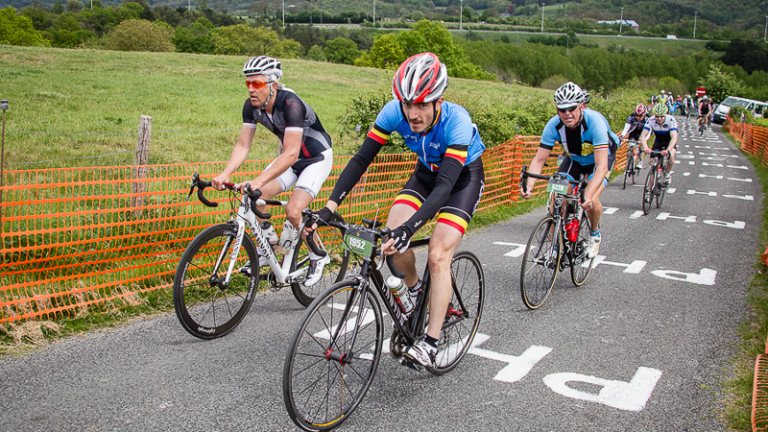 The event takes place on a mix of tarmac and white gravel roads harking back to the golden days of cycling. You must use a bike made pre 1987 and many wear clothing to suit the period of their bike. It’s also a great festival with the start town and all surrounding villages on the route completely embracing the event for the week leading up to it. There are four distances avavilble; 38km, 75km, 135km and monster 209km, remember you’ll be on an old bike and wearing old kit so chose your distance wisely. On the plus side they do serve wine at the feed stops which tends to persuade riders to reduce their distances on the day. This is the biggest mass participation cycle event in the world with 35,000 riders taking part. 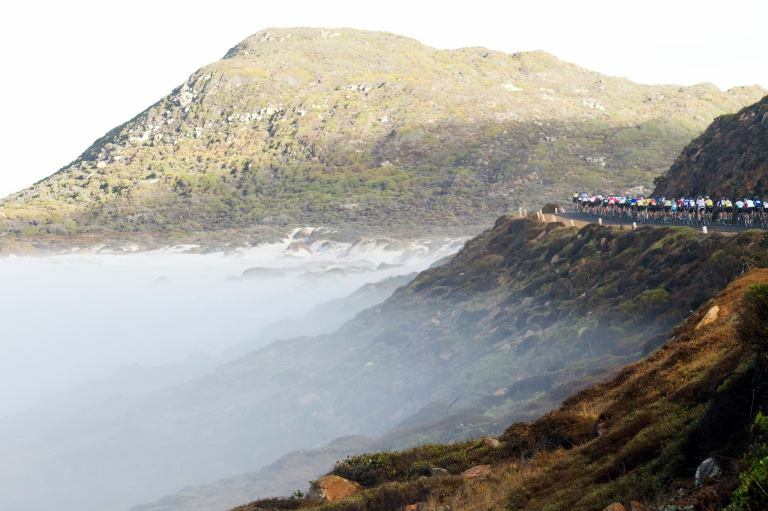 There’s only one distance and that’s a 95km route around Table Mountain and the stunning coastline to the south of the area. It’s a race and sportive with the front riders ranked in grids and everyone else happy to take part on closed roads. Weather is always good although the wind can cause real problems. Think most people like to go for a week in the sun in March as well as a bike event. If you want to experience what it’s like to ride one of the oldest, toughest and most bonkers races going then the Paris-Roubaix sportive is a must. It’s shorter than the professional distance but lucky for us mortals it still contains all the iconic stretches of pave including the brutal Forest of Arenberg and slippery Carrefour de l’Arbre. You also get to finish in the Roubaix velodrome and use the famous stone showers before collecting your cobble trophy and having a beer just off the track. There are three routes available; 70km, 141km and 170km. Just remember cobbles can be treacherous as well as knackering and your bike will also take a pounding so probably best not to leave the deep section wheels at home. La Doyenne is the oldest and one of the toughest races in the pro calendar. The relentless nature of the hills makes it a real tough mans course as the climbs might be long but they are steep and there are loads of them. The good news for us is that we can also tackle the exact same punishing course the day before the pros as well as several shorter distances which still have quite a punch. There are three distances available; the full ro distance of 279km with 4500m of climbing, 167km with 2647m ascent and an 85km course with a still impressive 1250m of climbing. If you want to sample riding through the stunning Ardennes countryside – and you do – then this is the one for you. Tagged aquila sl, around the bay, battenkill, cape town, flanders, gran fondo, l'eroica, l'etape du tour, liege bastone liege, mallorca, paris roubaix, Sensa, sportives, stelvio. Bookmark the permalink.